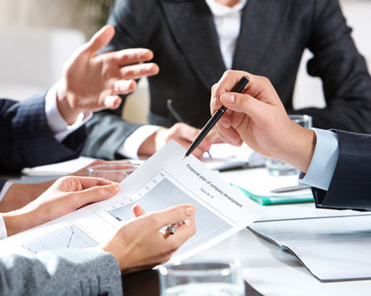 Linowes and Blocher LLP’s Business Transactions Practice Group counsels clients in corporate, securities and other business transactions matters, including business formations, financings, reorganiza­tions and other matters arising in connection with the life cycle of a business entity. Our clients include corporations, limited liability companies, real estate investment trusts, business trusts and partnerships engaging in a wide variety of business enterprises. Linowes and Blocher LLP assists clients through every step of a business transaction, whether it is a partnering transaction or joint venture, the acquisition and sale of an operating business, a capital raising transaction, or a merger, consolidation or reorganiza­tion. In addition we are leaders in structuring and use of various municipal bond financings. Linowes and Blocher LLP occupies a unique niche in representing many real estate developers and property owners in structuring Public/Private Partnerships and the use of municipal bonds to finance the costs of infrastructure required for their projects. We are often called upon to work in conjunction with local government and developers to help create special tax districts and tax increment financing districts. Members of the Business Transactions Group regularly assist in the formation of not-for-profit enterprises and advise such enterprises on issues including business, tax, employment, and financing issues, including the use of municipal bond financing. The firm is also counsel to local trade associations and advises them in a wide range of business-related matters which make them more effective in representing their members in their respective industries. The Firm represents clients seeking to relocate or expand businesses into Maryland in obtaining tax incentives. grants and other economic development incentives from the State of Maryland and local jurisdictions, including job creation property and income tax credits, research and development income tax credits, enterprise zone property and income tax credits, cybersecurity investment incentive tax credits and manufacturing tax credits.